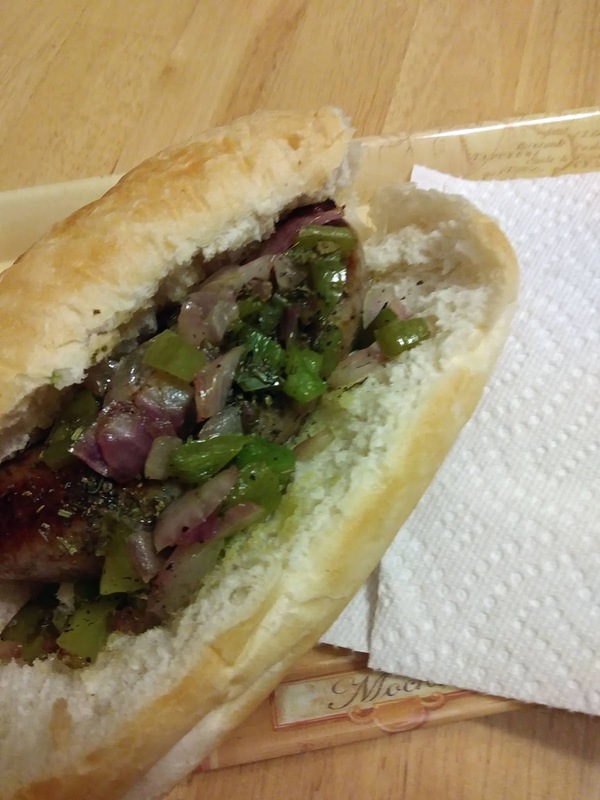 Sausage, peppers and onions. Here's one of those Italian American foods, street foods, little food carts dishes. You'll want to try this because its so good. Heat oil in skillet, over medium heat. Brown sausage both sides, about 3 minutes each side. Add water, cover, cook 10 to 15 minutes, until sausage is no longer pink. In separate skillet, heat 1 tablespoons olive oil. Add onions, bell pepper, salt, pepper, crushed red pepper flakes and worcestershire sauce. Stir, cook until tender. Stir in italian seasoning and garlic powder. Evenly divide mixture onto bolillo bread, and serve immediately.